Regional seminar 1 – Rome – 4Quality! 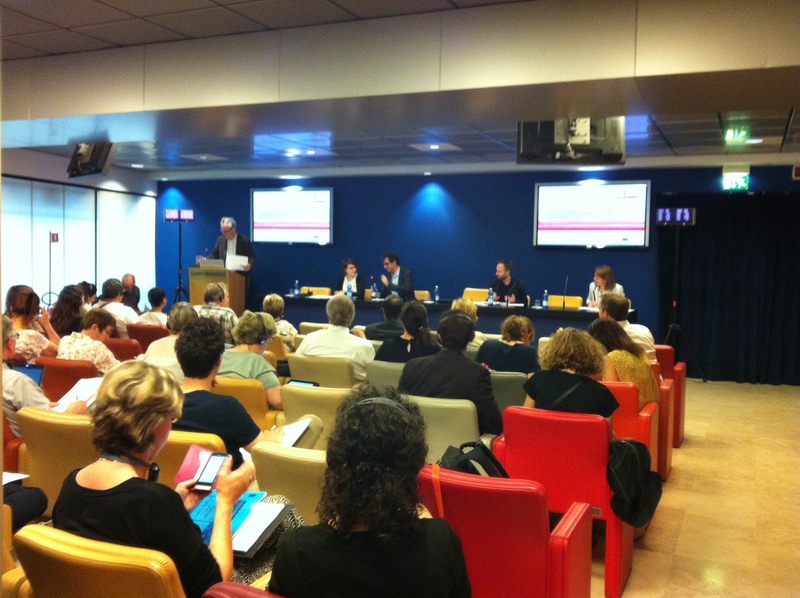 On the 6th of May 2015, about 50 representatives of workers and service employers coming from Belgium, France, Italy and Spain gathered in Rome in order to discuss the quality of jobs and services in personal care and household services. Following a presentation of the four national reports drafted by ORSEU and PLS providing an overview of the quality of PHS services and jobs, participants splited up in national groups.Each group discussed the national reports findings and how they could be improved. In addition, some of them presented practice example and the transferability of those practices in other countries has been debated. After a reporting of the moderators from each country on the main points and conclusions of the group discussions, the meeting concluded with an open discussion on policy proposals at national and European level to improve service quality and ensure greater professionalism. The seminar was organised by DIESIS. The agenda, presentations and national practices presented during the meeting are available below. Additionally, new versions of the national reports will be drafted based on the participants’ inputs and feedback.